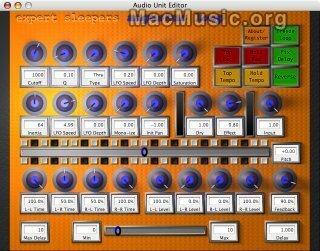 Augustus Loop by Expert Sleepers is an emulation of a tape-based delay effect, with some extra features to facilitate its use as a looping device. This new 1.1 beta 3 version features : host tempo, audio-triggered record start and MIDI clock out. info and download are available from the MM Softwares section.